In the last article we looked at how you can build your muscle capacity to be fast and strong. We also covered how you can do this ‘properly’ so that you’re effort are more effective and have much quicker effects! Here we’re going to take it out of the gym and get a bit more dynamic. So, you’ve nailed the muscle exercises in the gym, now what can you do to prepare to apply this to rapid movements, weight transference and balance that you need in skiing? Well, it kind of stands to reason that you should try to replicate, at least in part, the movements and positions that you adopt in skiing. It makes sense, but how many people actually do this? And importantly what should these exercises be? So, what are these exercises and how do you do them? I’ll give you an example using Balance and Control. Can you stand on one leg for 30 seconds without falling over? How about with your eyes closed? Now, how about if you were to throw and catch a ball (eyes open, obviously!). Think about what you’re doing as you hurtle down the slopes. You need to keep your balance as you deal with your speed, unexpected obstacles, changes in snow quality etc. How much are you consciously thinking about doing that? You’re not actually thinking about it. As you develop from novice to experienced skier your conscious efforts to keep your balance are diminished as they become second-nature; a constant sub-conscious control of muscle activity through complex feedforward and feedback circuitry between your muscles and your spinal cord. However, we shouldn’t get complacent as accomplished skiers, especially if we don’t ski regularly (and by that I mean more than regular seasonal holidays). Just as we overload the muscles with resistances above body weight to build muscle strength (see previous article), we need to overload this system in a similar manner to increase its ability to respond quickly (and sub-consciously) to unexpected events to protect us from injury. Remember how quickly injuries happen? Thus, it’s important to increase the difficulty of balance exercises. 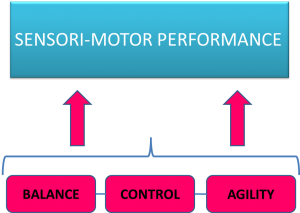 Technically, we’re working something called sensori-motor performance here (also called proprioception). Essentially that’s the integration of the senses (nerve) and the motor (muscle) bits of your body. And, this type of training has been shown to reduce the incidence of knee injuries – so get started! 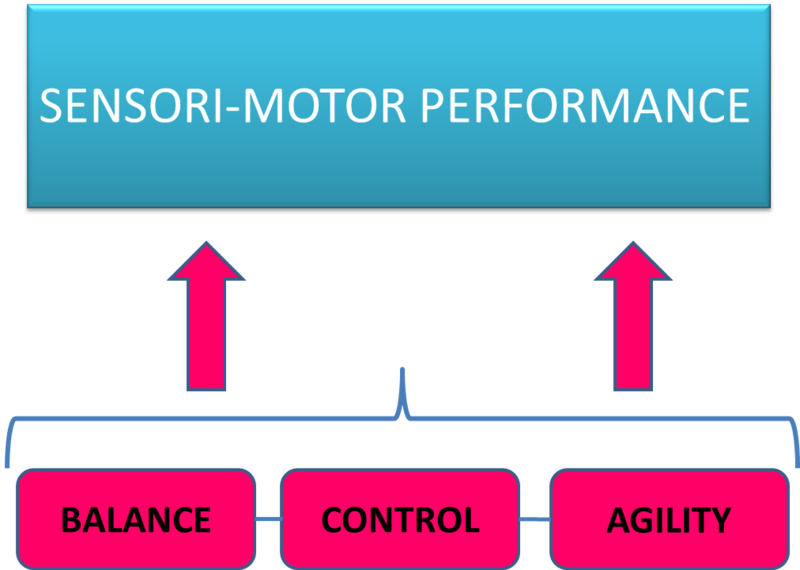 Obviously, these principles apply to agility too; the need to safely replicate the sport-specific movement patterns and then make them more difficult. 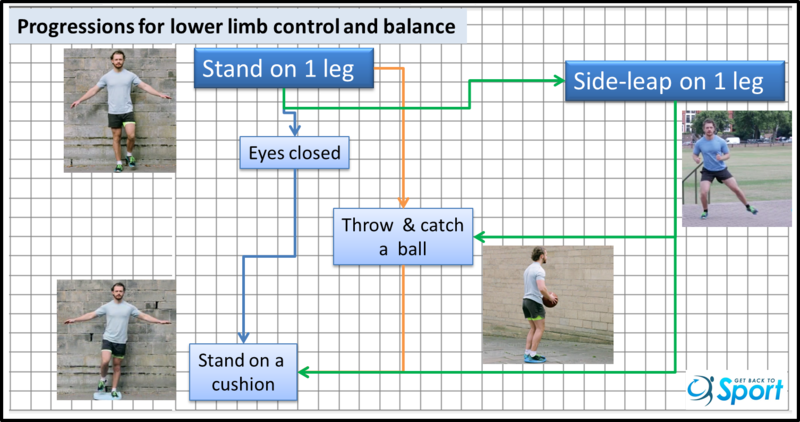 Here we might be thinking to incorporate plyometric training, changes of direction at speed, and explosive muscle contractions. For more information on skiing and injuries see previous articles: here and here. For a cutting-edge programme of structured injury prevention and ski conditioning exercises click here, or, for something a little more bespoke – perhaps you’re injured. suffer knee pain, or you’re an elite skiier please get in touch with me, Dr Claire Minshull for a free consultation.